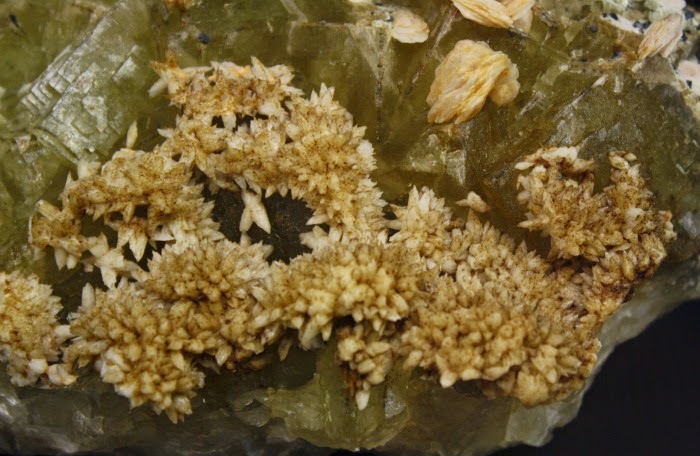 Hardness is an important feature used for mineral identification, but it is not the only one. Fig.1. Lecture in mineralogy, from Bartholomäus Anglicus "Über die Eigenschaften der Dinge" (1390-1400), on the Characteristics of Things. May the chemist Torbern Bergmann (1735-1784) was one of the first naturalist to discuss mineral-hardness, however, as he believed that clay is also a mineral, he assumed that hardness was strongly influenced by the humidity of the environment and therefore not very useful. 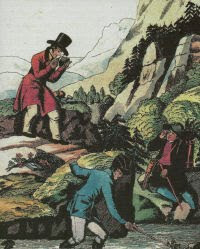 In 1784 the geologist A.G. Werner published his textbook "Von den äußerlichen Kennzeichen der Fossilien" (The external characteristics of fossils; fossils as anything excavated from the ground) introducing six hardness-degrees that could be distinguished with simple tools, like a knife, a file or steel-tools, all things available to miners or amateur rock-hounds. 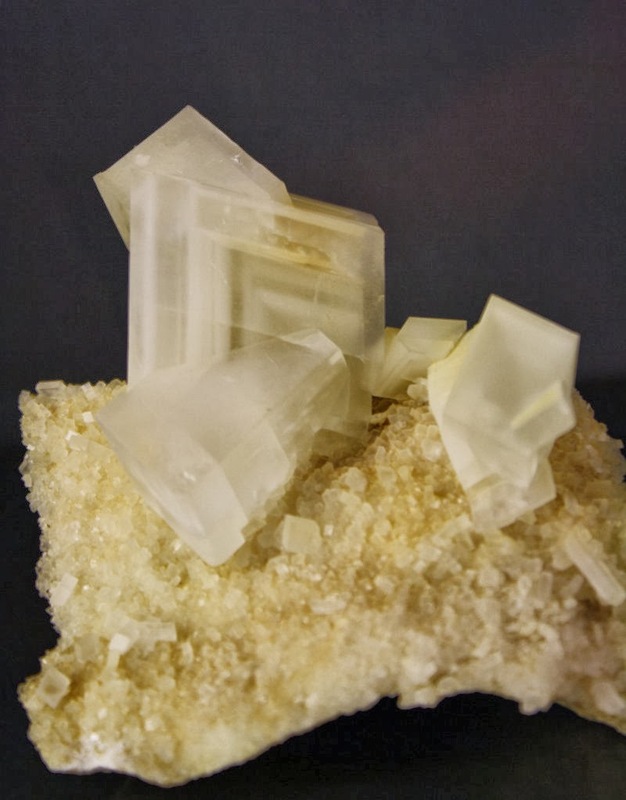 Mineralogist René-Just Haüy (1743-1822) introduced also test-minerals, like calcite (Mohs Hardness 3) and quartz (Mohs Hardness 7) for hardness identification. 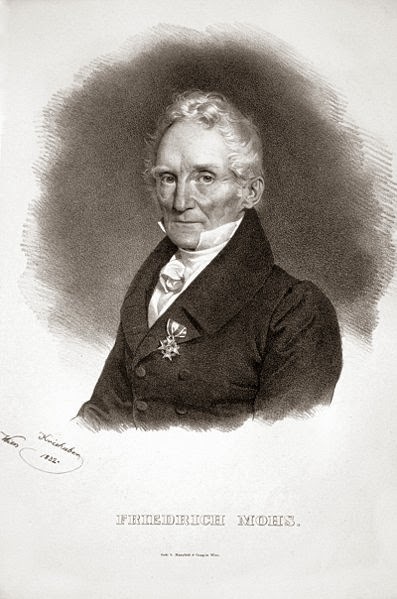 Finally mineralogist Carl Friedrich Christian Mohs published the modern 10-degrees scale in 1822. Fig.2. Hornblende (Moos in Passeier, South Tyrol). The streak, the color of the mineral-powder, is mentioned already by Georg Pawer (1494-1555), better known as Georgius Agricola, in his books on mining techniques. Also Werner considers the streak one of the most important features, where Mohs considers both streak as color of the crystal equally important. However it was Werner to introduce a classification scheme for crystal colors, using terms like steel-gray and apple-green to describe the colors of minerals. Curiously to get the powder the crystal had to be crushed or damaged, only in 1865 streak plates were introduced. 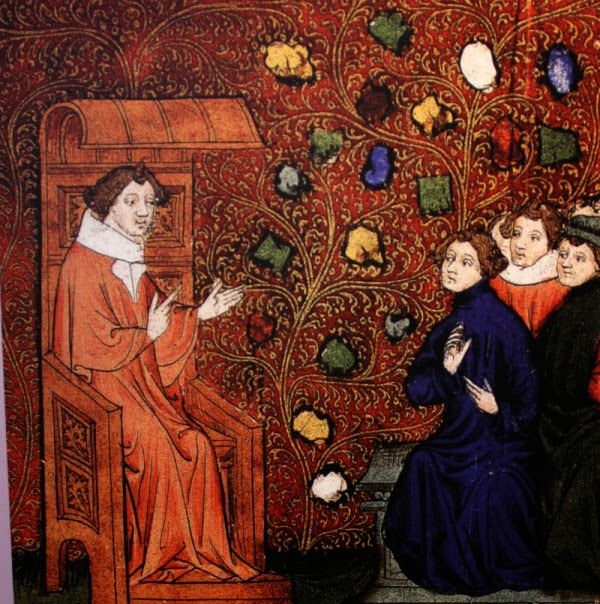 Specific weight was used already by Arabic scholars to distinguish gemstones from fake stones. Fig.3. 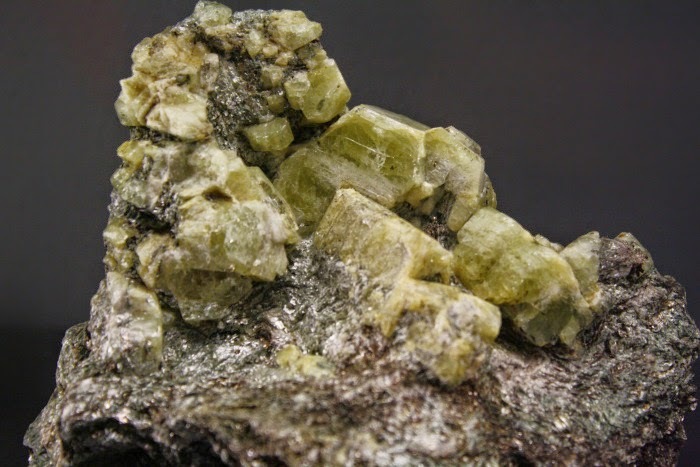 Apatite (Lodner, South Tyrol). Also the reactions of minerals with chemical solutions can be very important. A sort of marble was known already as "Bitterspat", "Murakalzit" and "marble tardum" by Carl von Linné (1707-1778). However in 1791 the French naturalist Deodatus Sylvain Guy de Tancrède greatet de Dolomieu (1750-1801) noted that this rock doesn´t react with acid like common limestone and limestone-marble does. He published this observation and later the Irish chemist Richard Kirwan identified and named the new mineral dolomite - a Ca-Mg-carbonate. Fig.4. 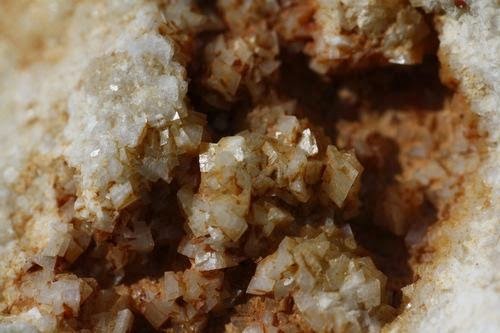 Dolomite from the Dolomites, South Tyrol. 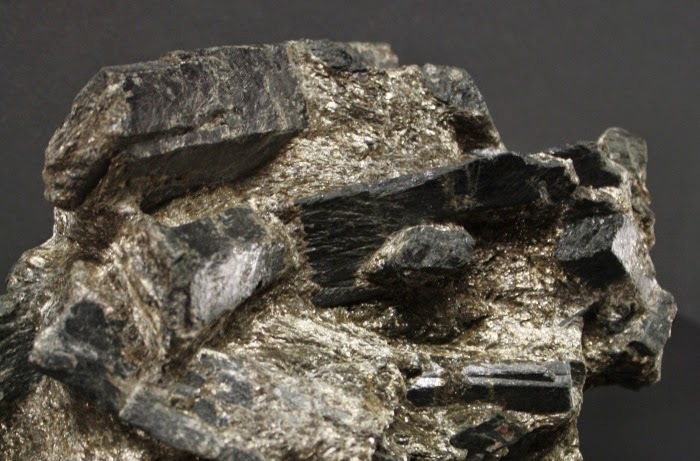 Today many other features, like magnetism, luminescence and radioactivity are used to identify minerals. 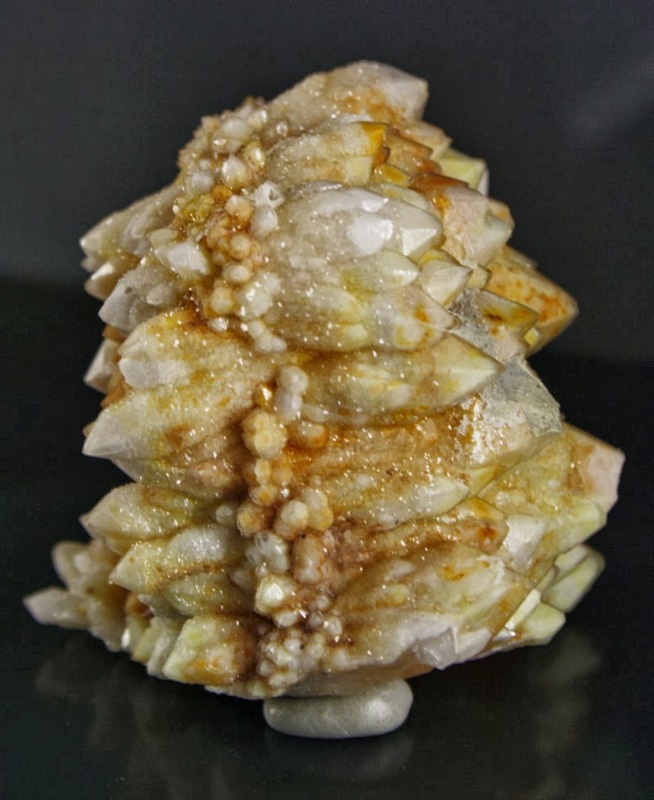 However until the 18th century only some hundred minerals were known, mostly ores or gemstones, and the described identification methods were more than appropriated for everyday use.